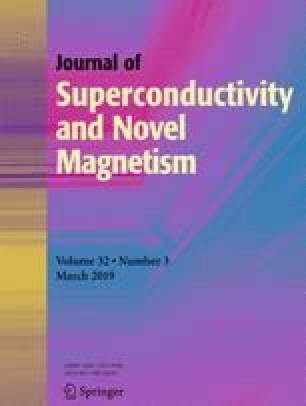 Annealing effects on microstructure and magnetic properties of (NdPr)9.5(FeNbCo)79.5(BC)11 ribbons were investigated. It was observed that Nd2Fe14B and Fe3B phases were directly formed at low spinning speed. Then, the alloys transformed to an amorphous state at a speed of 20 m/s. Annealed at 700 ∘C for 10 min, the amorphous alloys as-quenched at 20 m/s crystallized into a nanocomposite composed of Nd2Fe14B and \(\alpha \)-Fe phases. The formation of Fe3B phases was inhibited. The magnetic properties firstly increased and then decreased with the increasing of annealing time. The optimum magnetic properties were achieved in the alloys annealed at 700 ∘C for 10 min. The corresponding coercivity, remanence, and the maximum energy product was 427.5 kA/m, 0.94 T, and 101.2 kJ/m3, respectively. In addition, fine and uniform grains were formed. The average grain size was 10 nm. This study was supported by the National Natural Science Foundation of China under Grant No. 51174030.